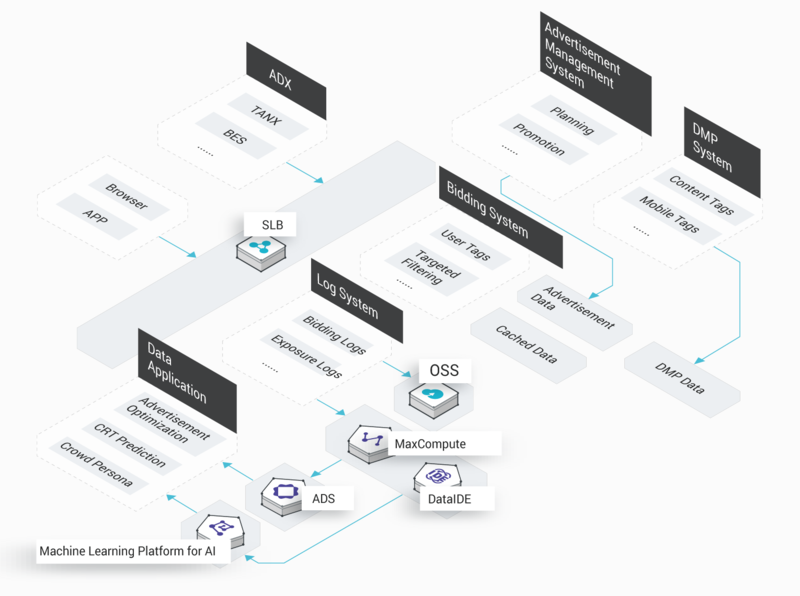 MaxCompute (previously known as ODPS) is a general purpose, fully managed, multi-tenancy data processing platform for large-scale data warehousing. 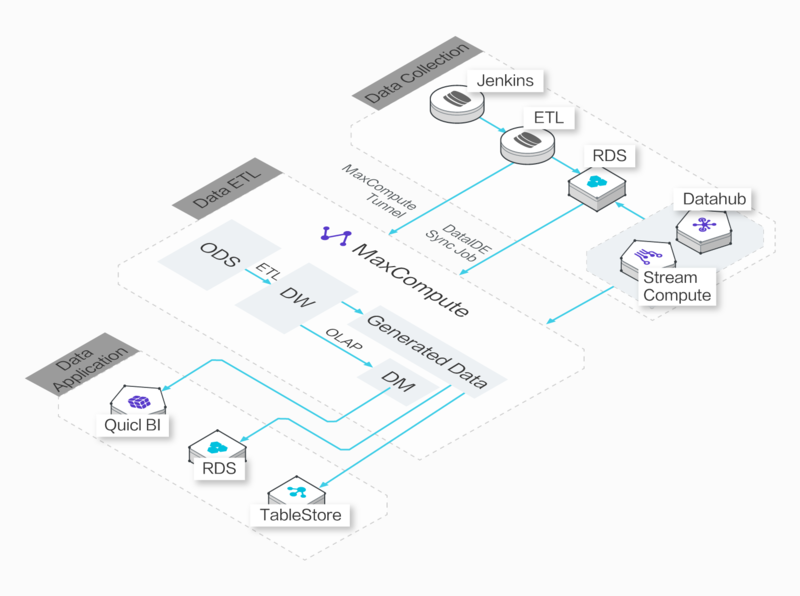 MaxCompute supports various data importing solutions and distributed computing models, enabling users to effectively query massive datasets, reduce production costs, and ensure data security. Supports EB-level data storage and computing. Supports SQL, MapReduce, and Graph computational models and Message Passing Interface (MPI) iterative algorithms. Provides stable offline analysis services for more than seven years, and enables multi-level sandbox protection and monitoring. Provides more efficient computing and storage services than an enterprise private cloud, and reduces the purchase cost by 20% to 30%. Supports multiple data tunnels, history data tunnels, and incremental data tunnels. MaxCompute uses tunnels to transmit data. Tunnels are scalable, and import and export PB-level data on a daily basis. You can import all data or history data through multiple tunnels. The tunnel service supports Java SDKs. You can use commands on the MaxCompute client to exchange files and data with the cloud. 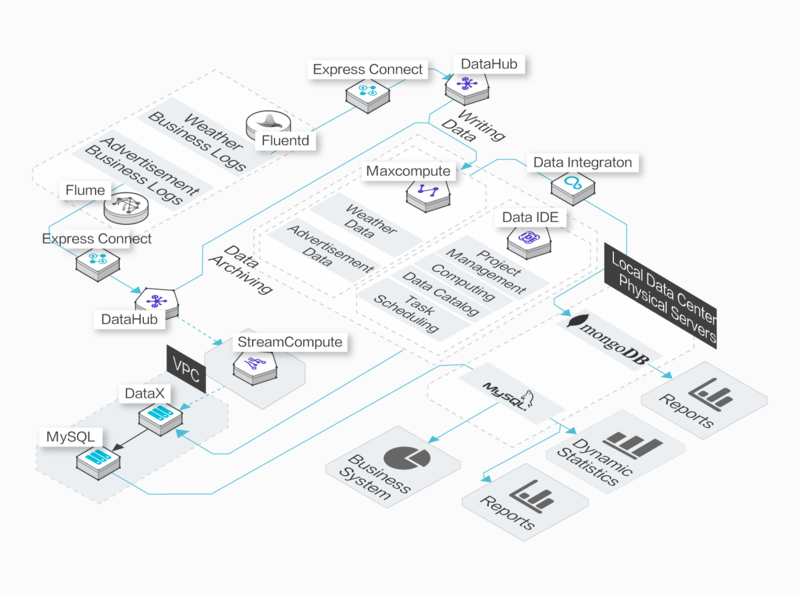 MaxCompute provides the DataHub service to upload real-time data. This service features low latency and is easy to use. It is very suitable for importing incremental data. DataHub supports multiple data transmission plug-ins, such as Logstash, Flume, Fluentd, and Sqoop. You can also use Log Service to easily ship logs to MaxCompute, and use big data development kits to perform log analysis and mining. MaxCompute stores all data in tables to hide the file system. The compressed column storage greatly reduces your costs using a high compression ratio. MaxCompute provides a compression ratio of 5. Supports multiple computational models, such as SQL, MapReduce, and Graph. MaxCompute SQL follows standard SQL syntax and Hive syntax. This combined syntax is similar to Hibernate Query Language (HQL), so SQL or HQL programmers can use MaxCompute SQL easily. MaxCompute provides a more efficient computing framework than a common MapReduce model, to run the SQL computational model. However, MaxCompute SQL does not support transactions, indexes, update, and delete. MaxCompute provides the Java MapReduce programming model. MaxCompute does not have any file API. You have to read data from and write data to tables in the system. Therefore, the MapReduce model in MaxCompute is different from the MapReduce model in an open-source software community. A modified model may be less flexible. For example, you cannot customize sorting and hashing algorithms. However, the development process is simplified. More importantly, MaxCompute provides the Extended MapReduce (MR²) model. In this model, multiple Reduce operations can follow a Map operation. In some complex iterative computation scenarios, such as K-Means and PageRank, MapReduce takes a long time to complete the tasks. Therefore, MaxCompute uses the Graph model to efficiently run these tasks. MaxCompute is a multi-tenant computing platform. By default, tenants are isolated and do not share data. However, they can use MaxCompute to assign the permissions on certain data to other members in the same project group. MaxCompute helps migrate all related services to the cloud within three months. 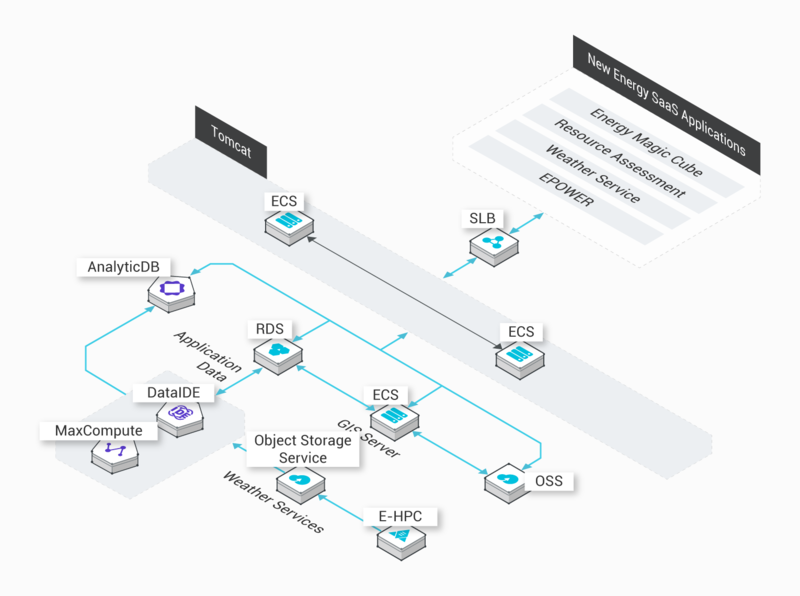 East Environment Energy does not have to build a big data platform. Instead, all related services are migrated to Alibaba Cloud's MaxCompute. This shortens the data processing time by more than two thirds. MaxCompute also secures green energy usage data in the cloud. MaxCompute helps migrate all related services to the cloud within three months. A large amount of resources in the cloud can serve businesses. MaxCompute greatly reduces the need to invest in manpower, materials, research and development. Comprehensive services and stable performance secure your data in the cloud. Data warehouses are vital to cloud computing and big data applications, and are continuously developing. Xiaohongchun uses MaxCompute to build data warehouses. Step 1: Synchronize data to MaxCompute using DataX and tunnels. 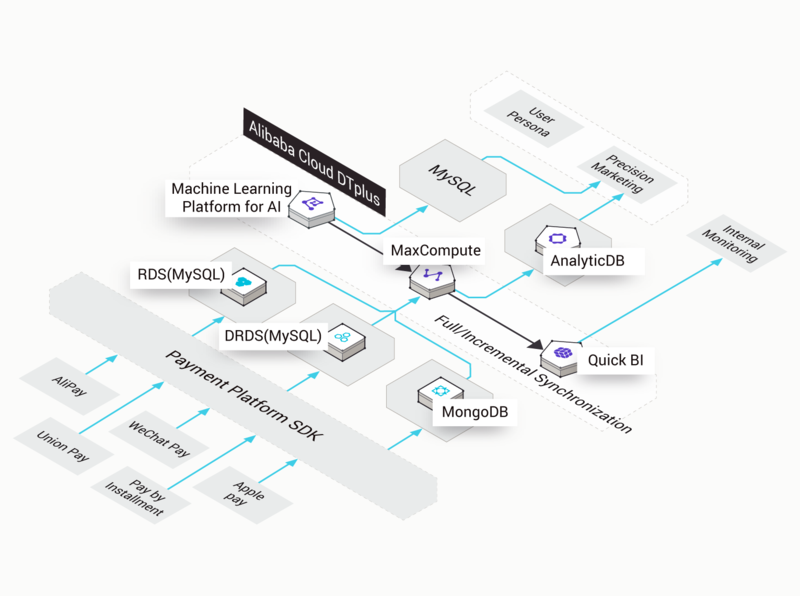 Step 2: Integrate Alibaba Cloud services to synchronize and scrub data in DataWorks. Quick BI generates reports based on the data from extract, transform, load (ETL), and online analytical processing (OLAP) in DataWorks. Moji Weather's log analysis business has migrated to MaxCompute. Development efficiency is enhanced by five times, and storage and computing costs are reduced by 70%. MaxCompute processes and analyzes 2TB of logs each day to benefit personalized operating strategies. MaxCompute analyzes all logs using SQL, to enhance business efficiency by more than five times. MaxCompute reduces the storage and computing costs by 70% and improves the performance and stability. MaxCompute provides multiple open-source plugins for easy migration to the cloud. Nailist mainly deals with the e-commerce business and currently serves millions of users. Therefore, Nailist needs to extract the best value from its large amounts of user data in order to improve user experience. Nailist can manage millions of users with MaxCompute. MaxCompute provides analysis and monitoring of business data to enhance business efficiency. MaxCompute is scalable to meet the demand of increasing business data analysis. Huihe Marketing has built a core precision marketing platform based on big data by using MaxCompute. On this platform, MaxCompute stores all logs, and DataWorks performs offline scheduling and analysis. Performs statistics and analysis of large amounts of logs to ensure cost-effective development. The system responds to customer search requests in milliseconds and returns the number of users of a specified tag. The revenue of the precision marketing provider depends on the quality of algorithm models. Currently, Ping++ deals with millions of transactions each day. Therefore, Ping++ needs to use a secure, reliable, and stable big data platform. This platform analyzes large amounts of transaction data to enhance business efficiency and to increase user loyalty. 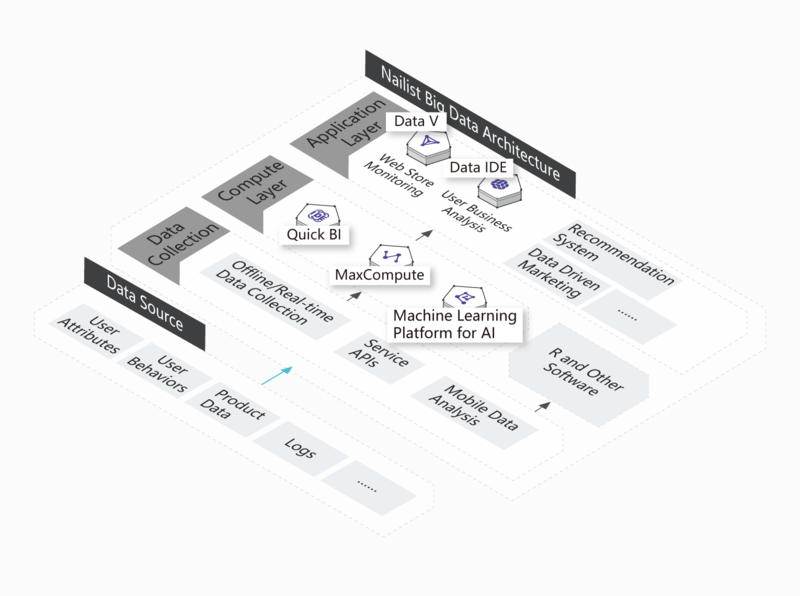 The comprehensive big data platform provides a variety of features, such as storage, computing, BI, and machine learning. The Internet-based enterprise can provide Ping++ in a cost-effective method. The system provides strict data privacy and protection. Users can only analyze their own data.